RAVENOL SCOOTER 2-T Mineral is a high quality mineral two-stroke engine oil formulated with carefully selected additives to ensure optimum protection against wear and prevent corrosion, deposits and pre-ignition. RAVENOL SCOOTER 2-T Mineral is optimized for use in air and watercooled two stroke engines. 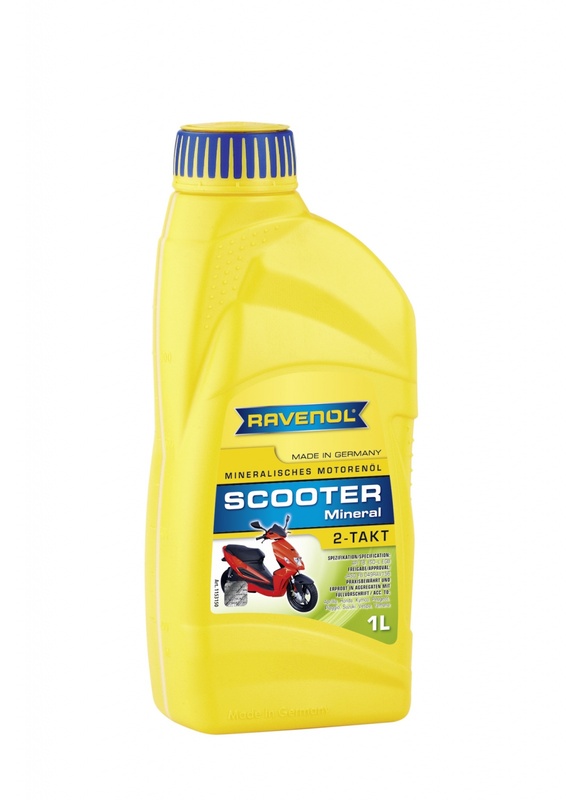 RAVENOL SCOOTER 2-T Mineral can generally be mixed with regular petrol 1:50 and is the best choice for separate lubrication and self-mixing systems. The use in oil injection systems this product will ensure optimum lubrication and minimizes smoke environmentally friendly. It is also suitable for separate lubrication systems and self-mixing systems.